Riders look out on the Grassland Plains. Lunch is served at the Grasslands National Park. Riders earning their dinner on the Grassland Plains. 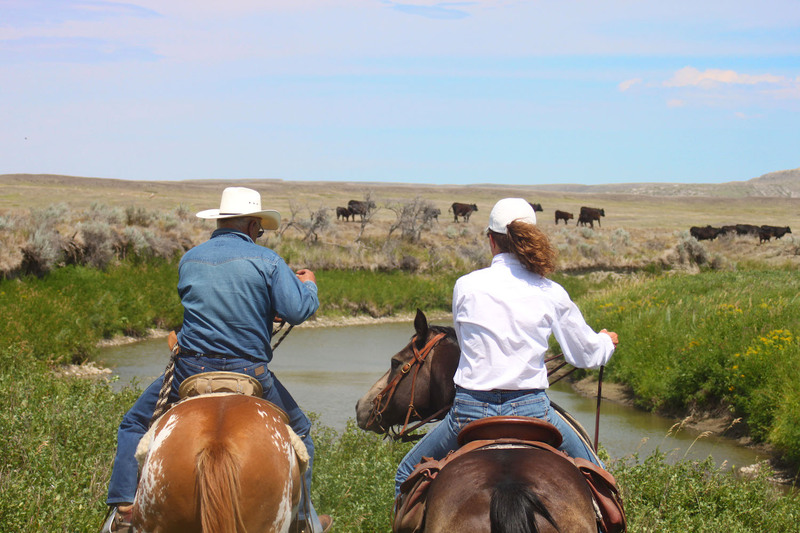 Riders cross a small creek in the Grassland National Park. Go back in time to an age where cowboys ruled the Saskatchewan plains. When the old frontier vanished, so did cowboys circling their wagons and sleeping beneath the stars. But the romance of that free-roaming lifestyle lives on, and at Grasslands National Park in Saskatchewan, so does the reality – at least for a day or two. 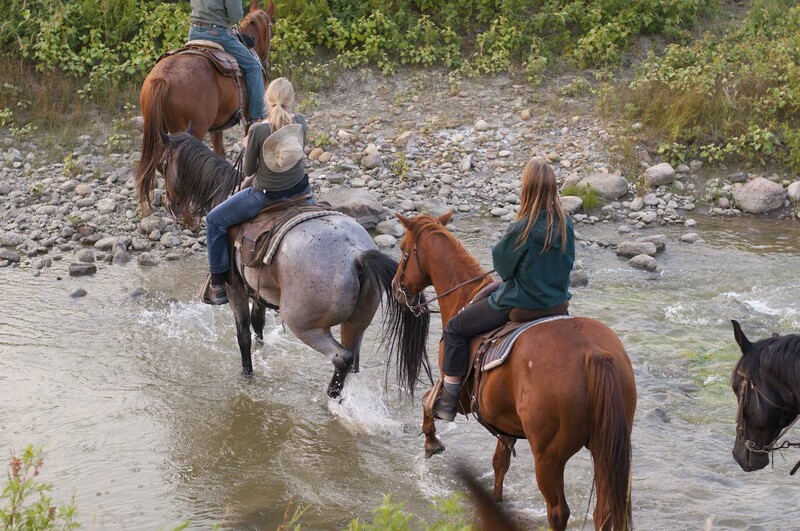 Saddle up for a cowboy adventure and ride a horse on 500-square-kilometres of genuine, undisturbed prairie. 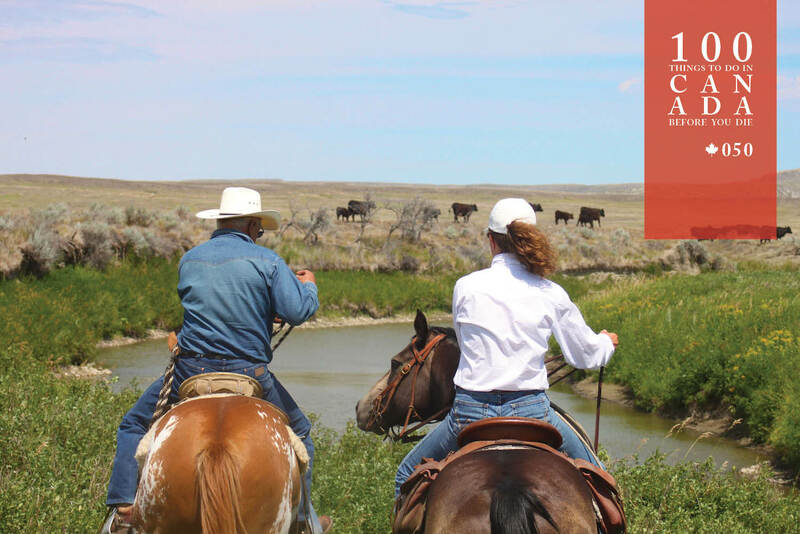 See herds of bison and prairie dogs in the wild, visit old homesteads and discover how the early settlers lived. 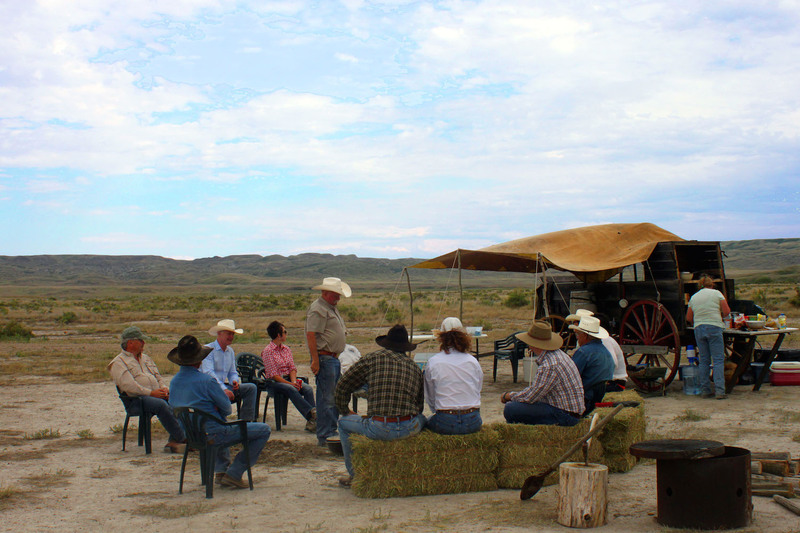 Learn how to drive cattle on the open range and enjoy authentic cowboy cooking from the chuck wagon. If you chose an overnight adventure, put your bedroll behind your head and listen to your posse singing songs around the fireplace as you fall sleep beneath the incredible night sky. Otherwise, alas, it’s time to untether your horse and take one last ride into the sunset. 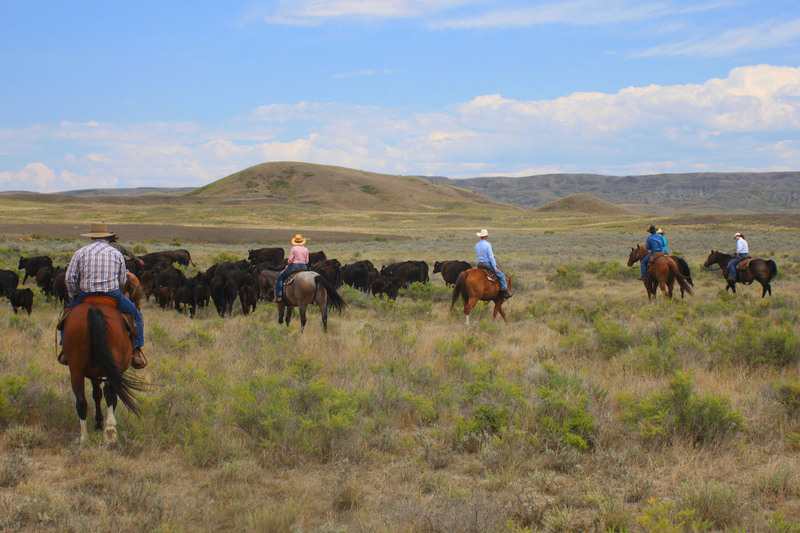 Lasso your cowboy adventure in Grasslands National Park (pc.gc.ca), with details of all the events here. About 420 kilometres south of Saskatoon, Grasslands National Park butts up against the northern extremes of Montana in the US. On the Canadian side of the border, the Park’s West Block can be accessed near the village of Val Marie on Highway 4 and Highway 18.